The world around us is a beautiful and colourful place. Walking down any street, nature will always be there: from the very small weed, to the large over hanging tree. The amazing thing about so many of these plants is that they can be used to colour cloth with! As you start to look out for plants to dye with, you soon become aware of what colours are available at different times of year. 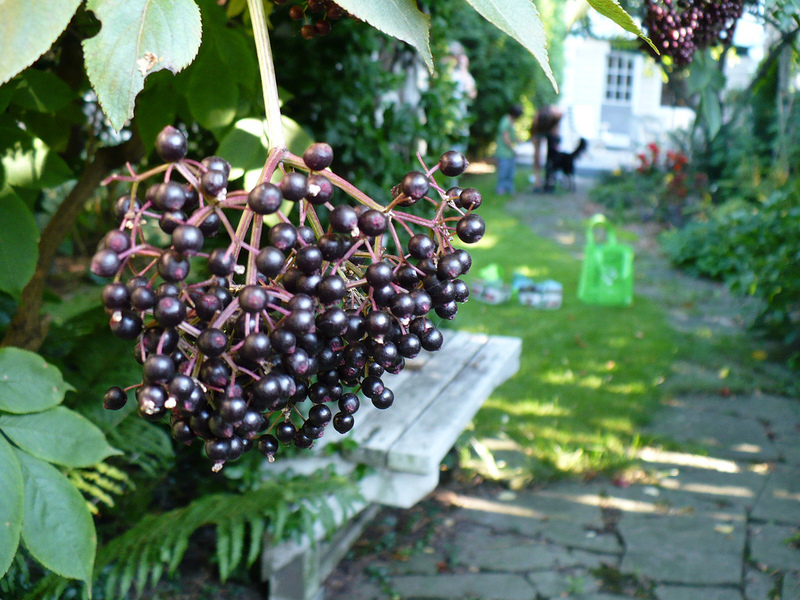 At the moment, for example, elderberries, walnut husks, dahlias and some of the harder late flowering roses are the best choices and maybe even some glorious goldenrod. 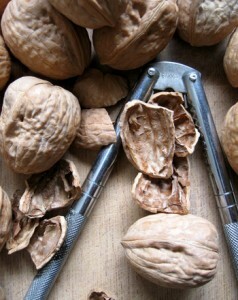 Walnut husks and rose leaves are substantive dyes that means that they do not need any mordant to fix on to fibre. They make lovely winter greys and browns. The colours you can achieve throughout the year change with the seasons. In the fashion industry, we tend to have bright colours through spring and summer, working to deeper, more emotive colours through autumn and winter. We see this change in the colours that we can achieve with plants too. The joy of natural dyes is the experimentation, so head outside see what you can find and soon new colours and creations will be finding their way in to your wardrobes. To read more about any of the process mentioned I would read Jenny Deans book Wild Colours she also has a very good blog. To find out about using 100% plants in your work look on www.bebali.org a foundation set up to support and empower local women in Indonesia. Elderberries: Will dye a warm purple shade. 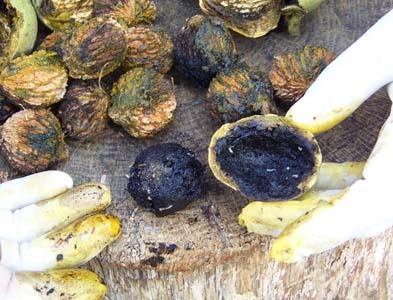 Walnut Husks: Black Walnut husks (Juglans Nigra) produce a warm, earth-toned dye that is color-fast, light-fast and wash-fast. The most common walnut varieties, such as Black Walnuts in North America or English Walnut (Juglans Regia) in the UK, produce a lovely, rich, yellow-brown colour. The husks of the black walnut Juglans Nigra can also be used to make ink for writing and drawing – it was, in fact, used by several great artists including Leonardo da Vinci and Rembrandt! 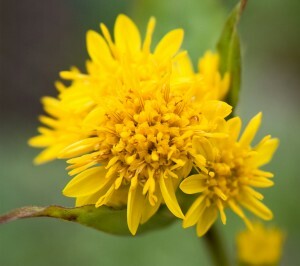 Goldenrod: Produces beautiful, light-fast primrose yellows on wool. 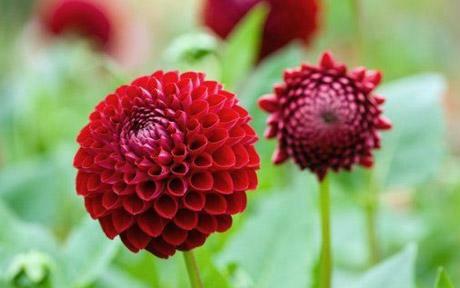 Use the flowers as they are about to open and soon after picking them. Dried flowers do not produce a good colour. If your flowers are ready but you’re not, you can freeze the dye liquor in a well-marked container. Use 50 to 100g of fresh flowers per 100g of mordanted wool. Keep the water just below a simmer for an hour for bright yellows. You can sometimes achieve a more intense colour by adding a small amount of soda ash at the end of the dyeing period. Some more about dyeing with Goldenrod here. 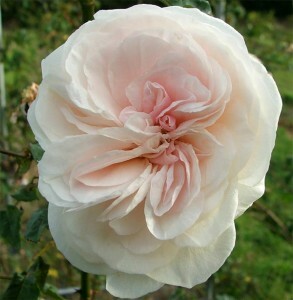 Late Flowering Roses: Just like Dahlias, you’ll find hundreds of varieties of Rose, that will all yield different colours. Generally, you can create pinks, purples, yellows and light browns. With roses, you may be surprised to learn that the best to use are the leaves! Stinging Nettles: Ok, so you may not suddenly see a nettle and think, “Wow! 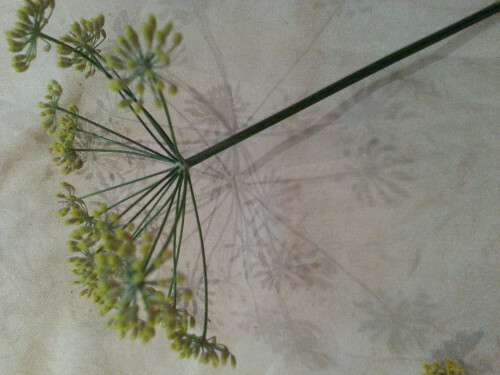 How can I use this awesome plant to dye with?”, but now at least you know you can! There’s certainly no shortage of them! Used on pre-mordanted wools and you’ll get a brown-yellow. Add some iron solution and the colour will transform to a rich green. Carrot tops: Part of the vegetable that we don’t eat and can be used to good effect in the dye pot! It does require fixing with a mordant. Will create soft green colours when used fresh. The carrot roots themselves (what we would call… a carrot!) makes a fantastic orange colour. Carrots make the carotine pigment found in natural food dyes. So if you end up with some old woody carrots you don’t like, you know what to do with them! Onions: Both brown and red skins create a range of yellows and rusts if you use a mordant. Unmordanted fibres result in a browner colour that fades after a while. Beetroot: Unexpectedly (annoyingly) beetroot doesn’t create that amazing pink colour you’d expect – weird, seeing that I manage to achieve it on my clothes, when I reeeeally don’t want to! Beetroot in fact creates a soft grey colour – it’s particularly effective when applied to wool. Rhubarb: The leaves are a source of oxalic acid (which is why they’re poisonous to eat) and can be used as a natural mordant. The roots of rhubarb plants yield a pale yellow direct dye. 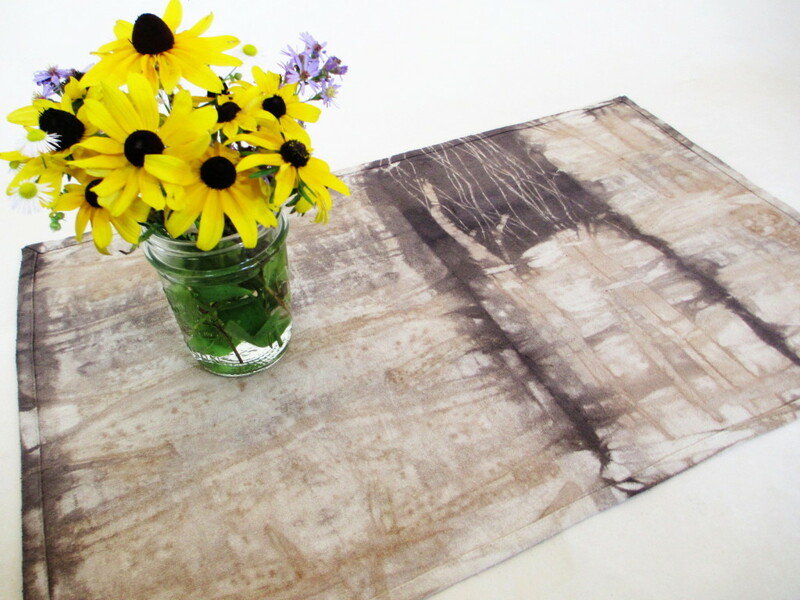 Try ground rhubarb root to produce a deep ochre yellow direct onto your fabric. The roots can also be used to make an indigo vat! Absolutely incredible shibori dyed fabric by Deirdre Phillips on her blog Secret Garden Textiles – she uses a range of interesting plants including Fennel as a resist (genius idea)! And there are Dahlias among the mix too. Absolutely breathtaking. Natalie Stopka adopted a fermentation method, using Dahlias to create beautiful, baby pinks and Elderberries that made blue-purple-greys. The colour palette is something you’d see in a high end fashion collection. 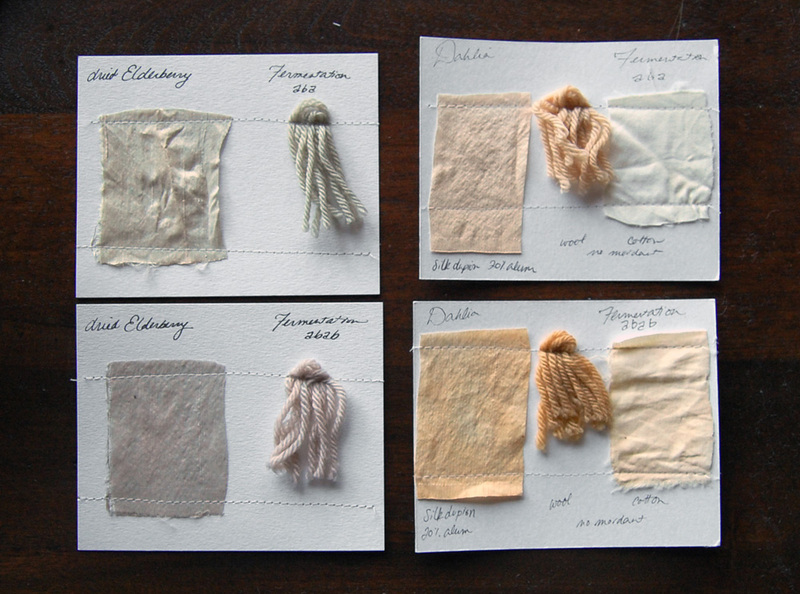 Natalie Stopka’s personal dye notes (clockwise from upper left: acidic elderberry, acidic dahlia, basic dahlia, basic elderberry). 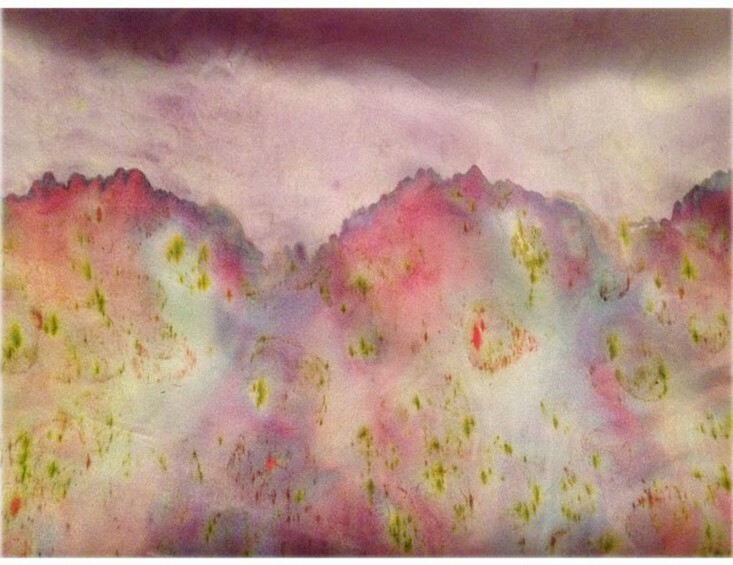 Dyeing With Petals: Textile by Cara Marie Piazza, Photo by Sophia Moreno-Bunge. And for some more ideas on foraging in Winter, I found Local Fibre Studio – with some examples of nettle dyeing! 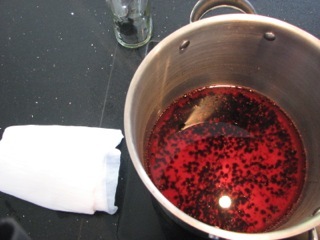 And Dustin over at Creative by Nature also wrote a post on a workshop she attended where they foraged for their own dye materials (ingredients native to the US). We’ve mentioned “mordants” quite a bit in this article, so if this is perplexing you – fear not! I’ve asked Susie to take us through it in her next post! If you’d like to know when we’ve published it, I’d suggest signing up to the monthly email, where I include all my latest articles. Simply add your email address to the “Send Me Your Crafty Emails” box! Hi Jean! Thanks so much for your comment. Please do send over photos of your experiments and what you’ve learned. We’re always delighted to feature newbie sewers and dyers and all their creations! 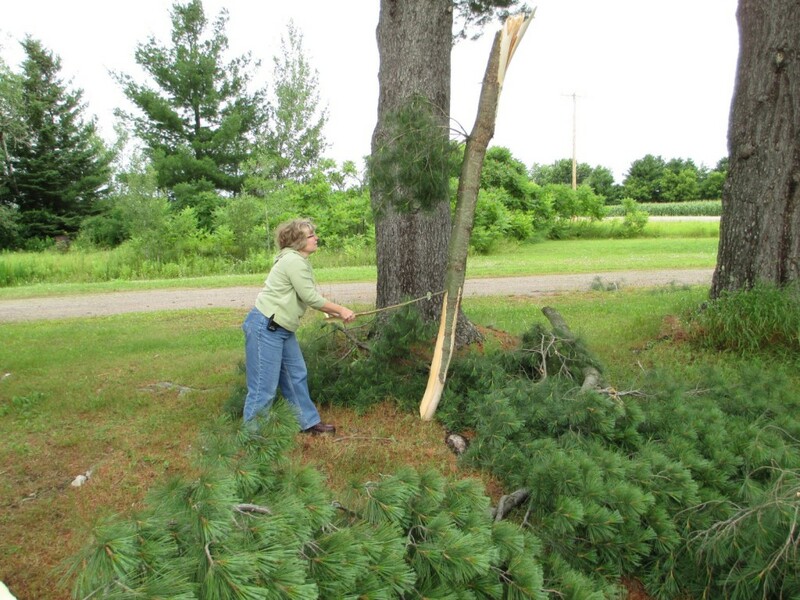 Metal or Non-Metal Mordants: Better For The Environment? Natural Dyeing: Are Metal or Non-Metal Mordants Better?